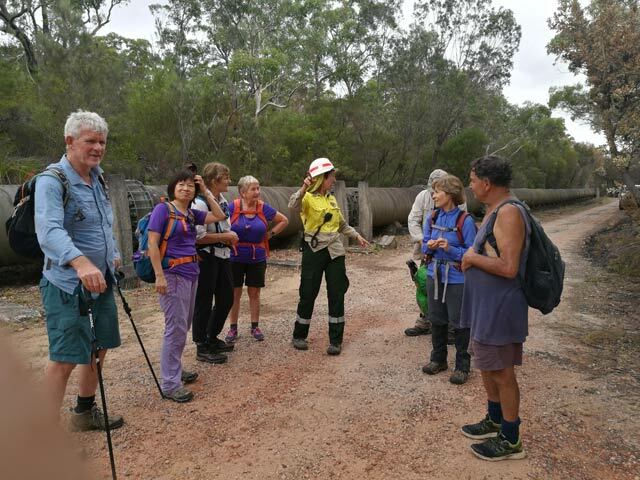 Meet at Heathcote station, go on the Friendly track, then Pipeline track, may swim at Mirang Pool, then on to Lake Eckersley, just relax by the lake & pool & return to Heathcote. 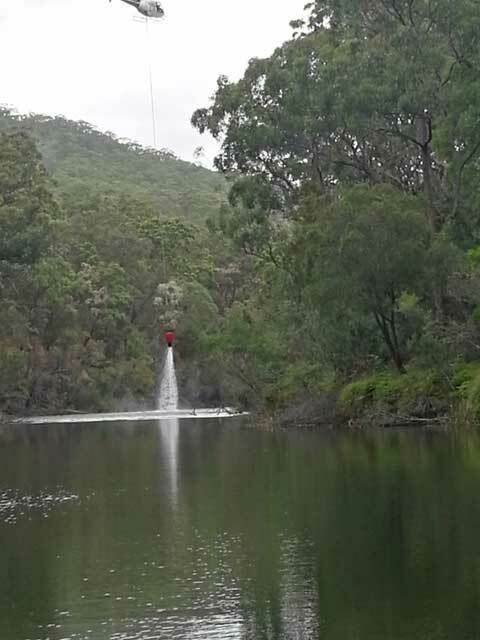 May extend to Bullawarring track if we feel energetic. Tree roots & slippery slopes. 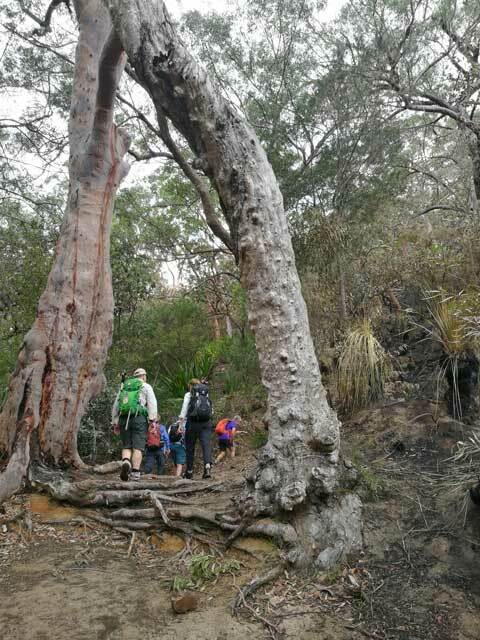 The day after a hot 35C in autumn, we set off to the Heathcote National Park. Overnight a drop of 12C made it a lot more comfortable to walk there. 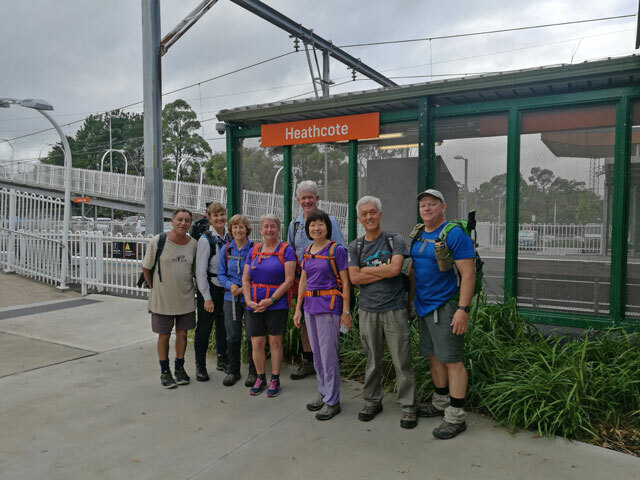 It was still drizzling when I left home, but it had stopped by the time we met up at Heathcote station at 9AM. I caught the train & looked for walkers when I got off. To my surprise I was the only walker on the platform, a group of smiling & chatting walkers were waiting for me on the other platform on the right exit. "Wow, they are all eagerly waiting for me!" I thought. This is an encouragement for this first time leader. It was a good start for the 80L walk. 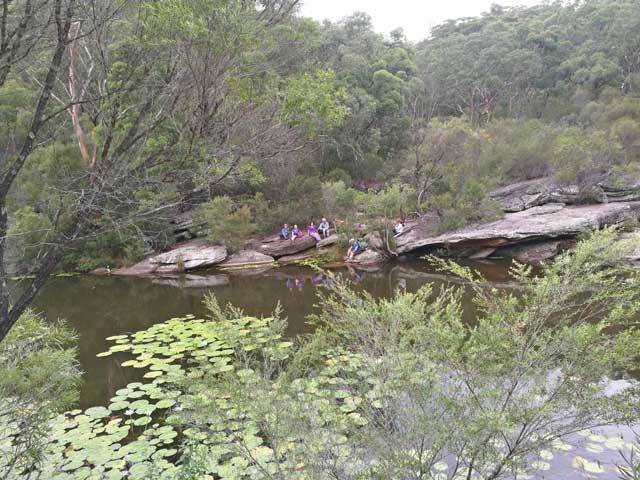 We took a scenic route via the “Garden & Eden” along a small creek till we got to the Friendly Track & had morning tea at Mirang Pool. No one took a swim there & it was pretty dry as the effect of the drought was quite evident. 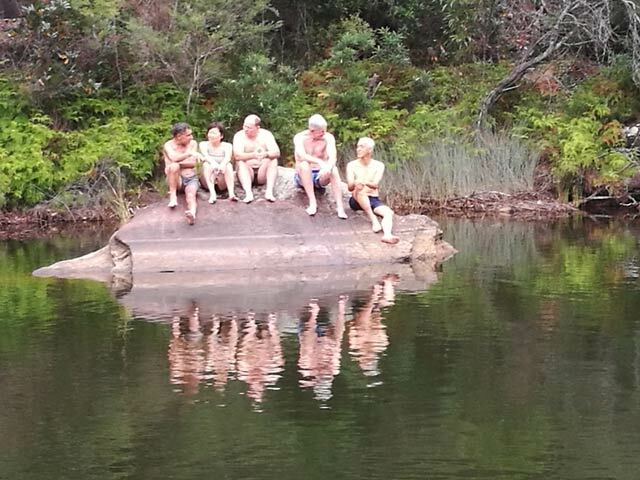 Rogo led us to a hidden beach off Lake Eckersley, it was private with a big rock in the water near the opposite bank of the Woronora River which served us well to relax & pose for the camera. The water was pleasantly warm & refreshing. We had lunch there. 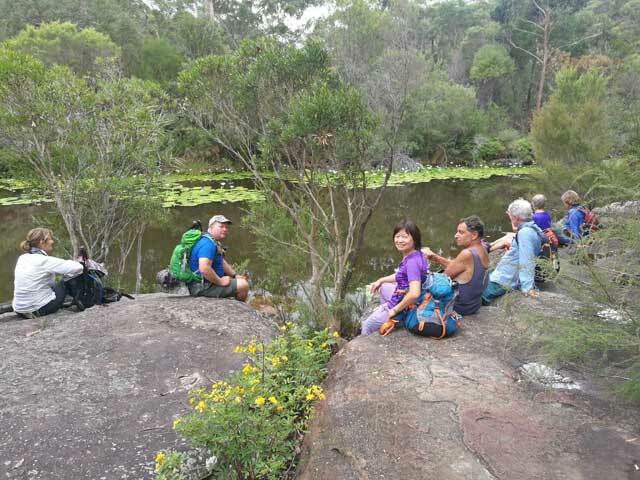 On our way back we went to the delightful Goburra Pool dotted with waterlilies. The lightly purple flowers were there to welcome us & it’s so tranquil that we sat down to admire & absorb the ambience. 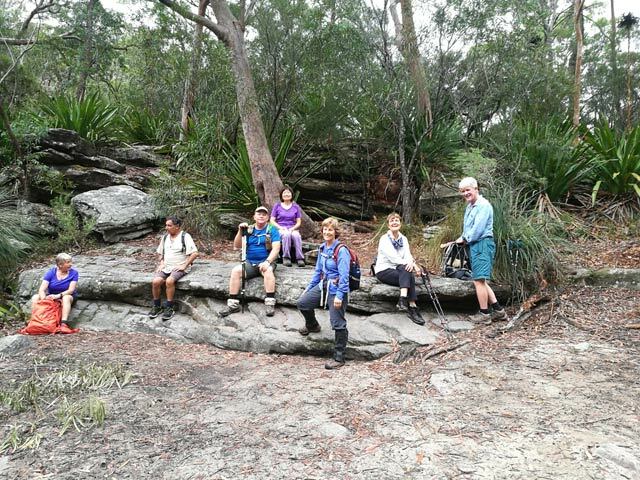 Overall it was a very enjoyable 12 km bush walk with a group of friendly & supportive walkers. It was enjoyed by all participants & a very good start for me as a leader.